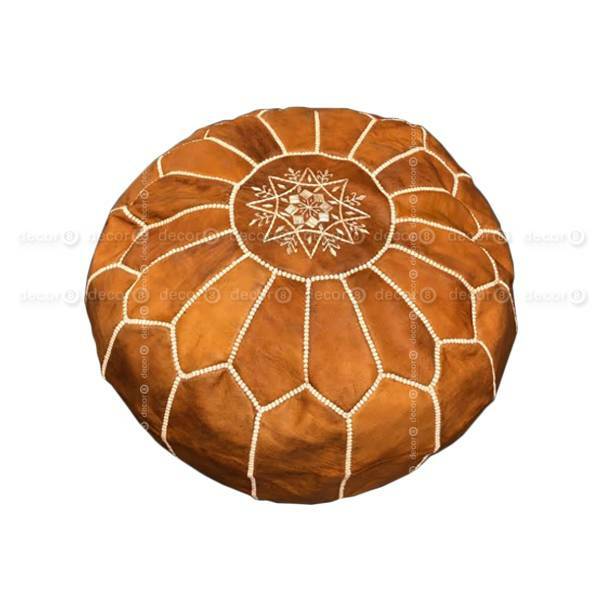 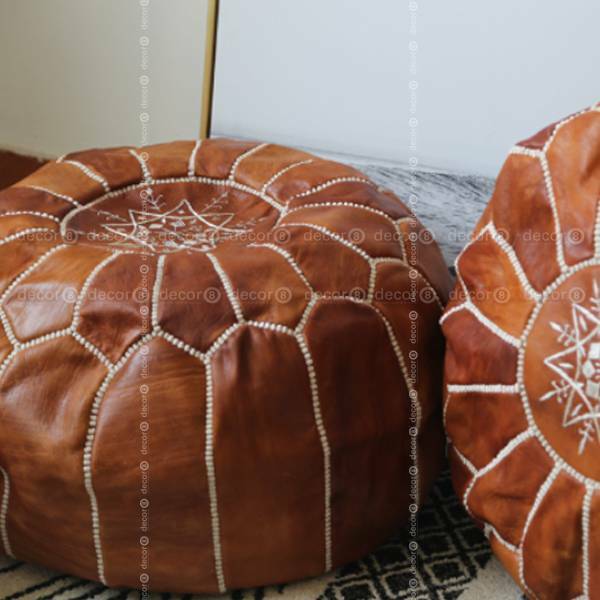 Perfect as a footstool, extra seating, as a cushion, or purely as decoration, the Amina Moroccan Leather Pouf is an artistic embroidered leather pouf that looks amazing in any room of the house. 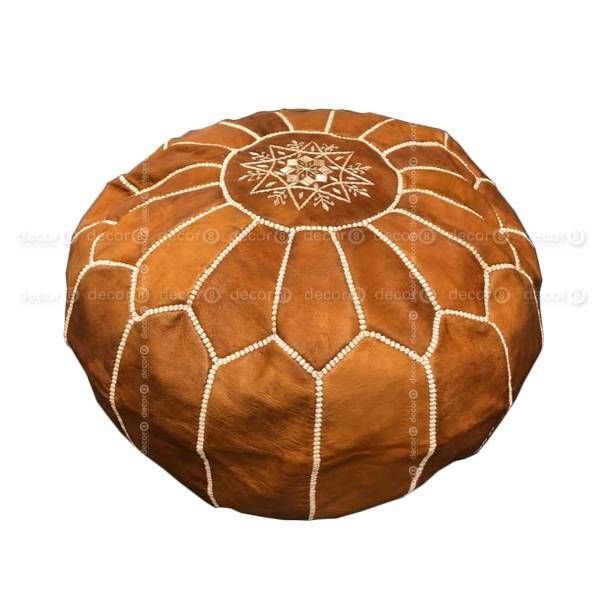 Handmade by artisans in Morocco, these suede ottomans are unique, with subtle variations in color. 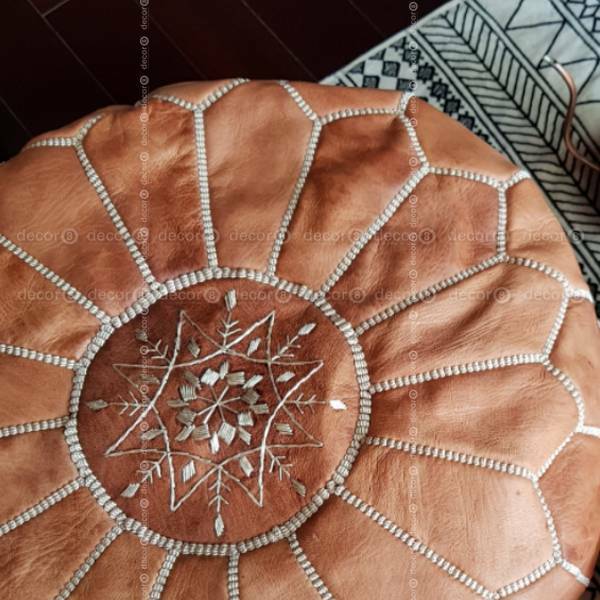 Individual pieces of genuine leather are dyed to perfection, then stitched together and embroidered by hand. 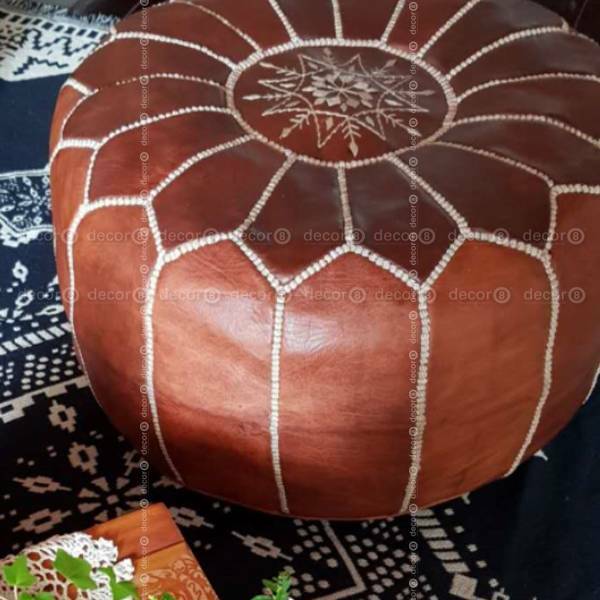 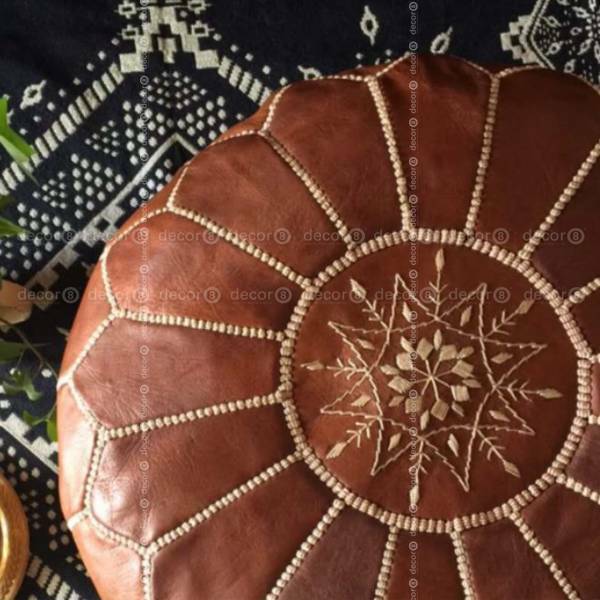 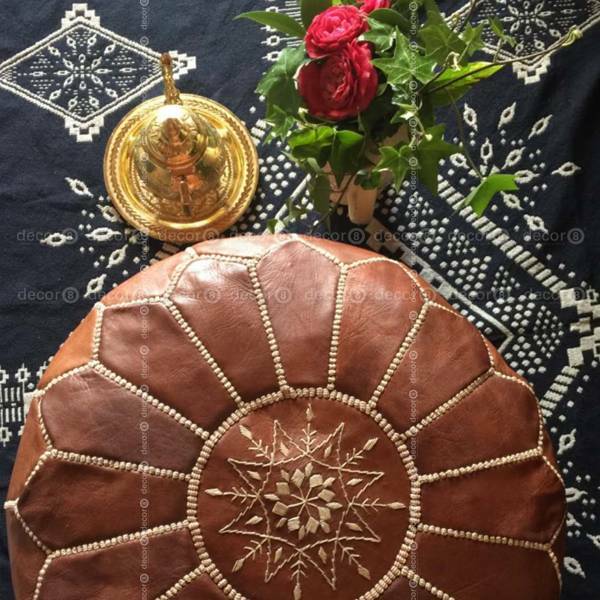 The Amina Moroccan Leather Pouf in Brown Leather is an bohemian piece of home decor that is perfect for modern and contemporary interiors.